In this video, you’ll see highlights from last year’s Unbeatable Mind Retreat, which is especially exciting – because we’re gearing up this year’s event right now. 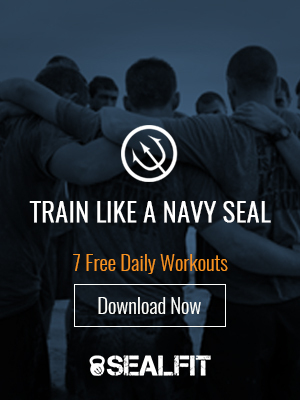 It will take place on December 4th – 6th at the SEALFIT HQ in beautiful Encinitas, California. Registration for this UM retreat will open up during my live webinar tomorrow and extend through the rest of this week. Space is limited to 100 people. To join us for tomorrow’s webinar, click here. Registration for the webinar costs nothing, and you’ll learn a variety of actionable strategies you can use to put your life on the offensive, all the time. I look forward to seeing you on tomorrow’s webinar, as well as in person at the next Unbeatable Mind Retreat.